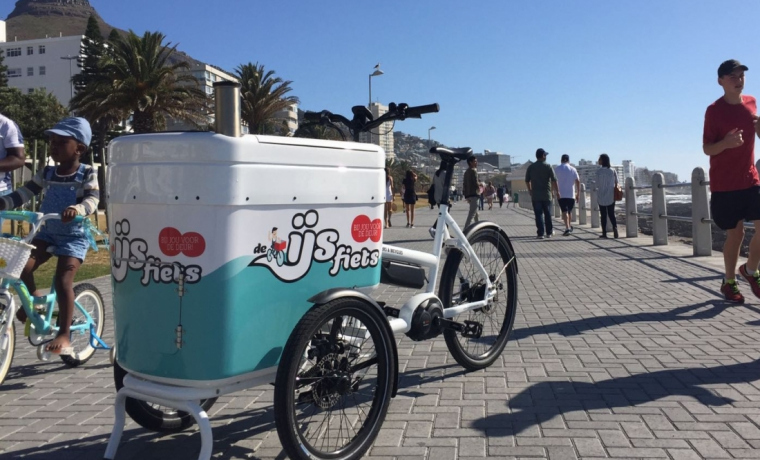 Today our first bike finally arrived in the mother city! This moment we have been looking forward to for months and loads of planning has gone into it, but we have arrived! We are so excited for the coming months and to see the ice-cream revolution come to this beautifull city! We will keep you informed on the latest news, but we will be close! In the meantime…… keep it cool!